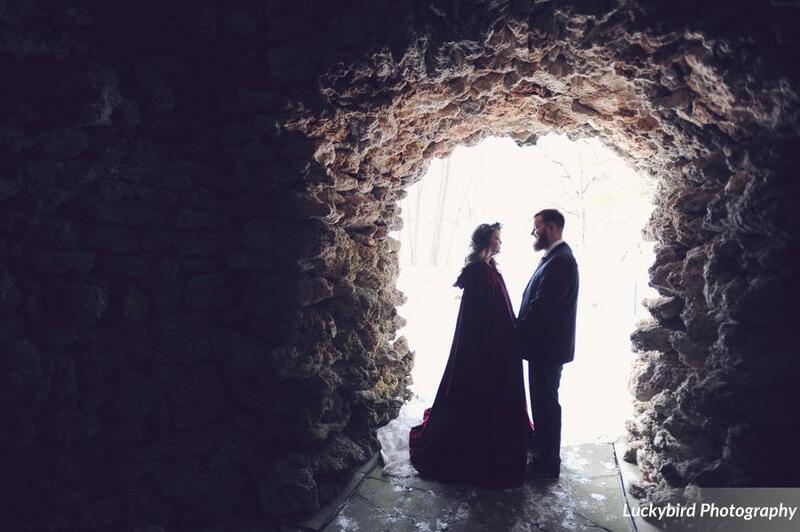 There are SO many benefits to having a winter wedding. Venues tend to have more available dates, prices are lower, vendors are more flexible…etc. 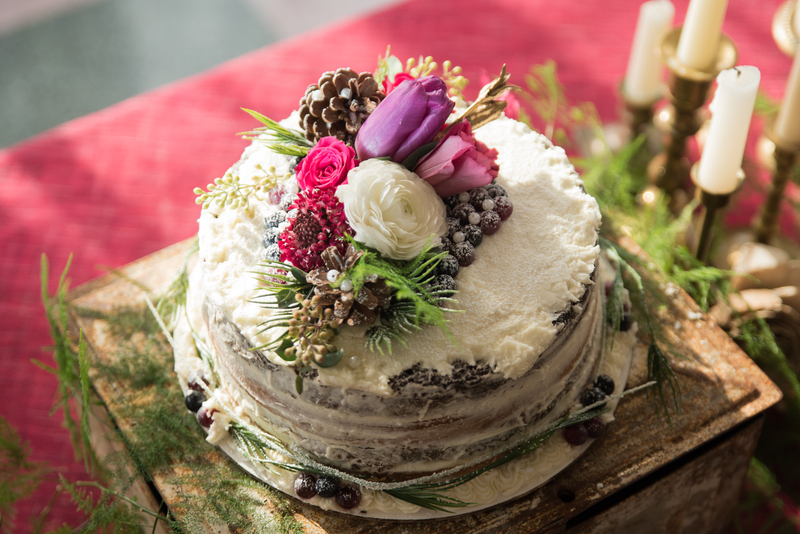 However, winter weddings shouldn’t be planned as you would normally plan a Spring, Summer, or Fall wedding. 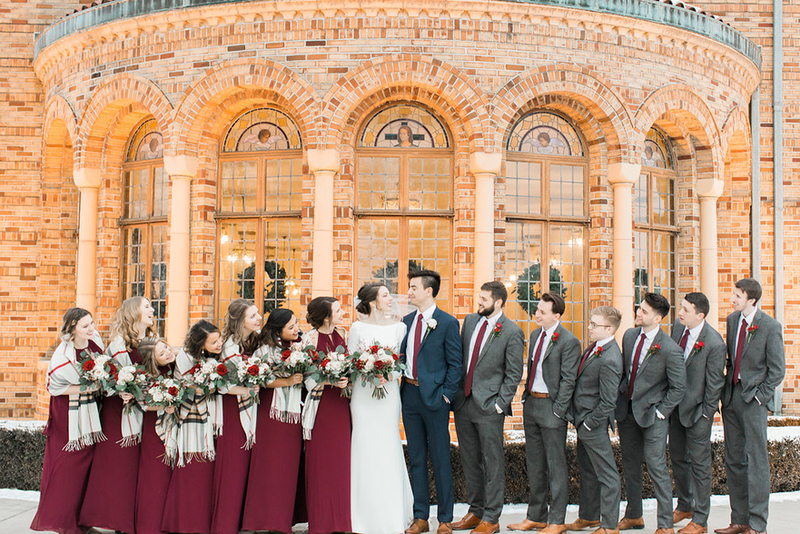 Here are some tips for hosting a successful winter wedding! 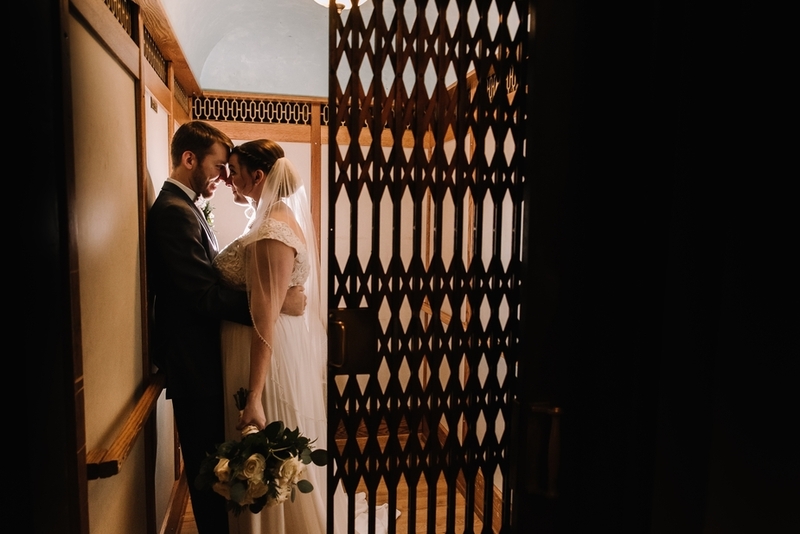 Nazareth Hall offers the solution to have your ceremony AND reception at our venue. 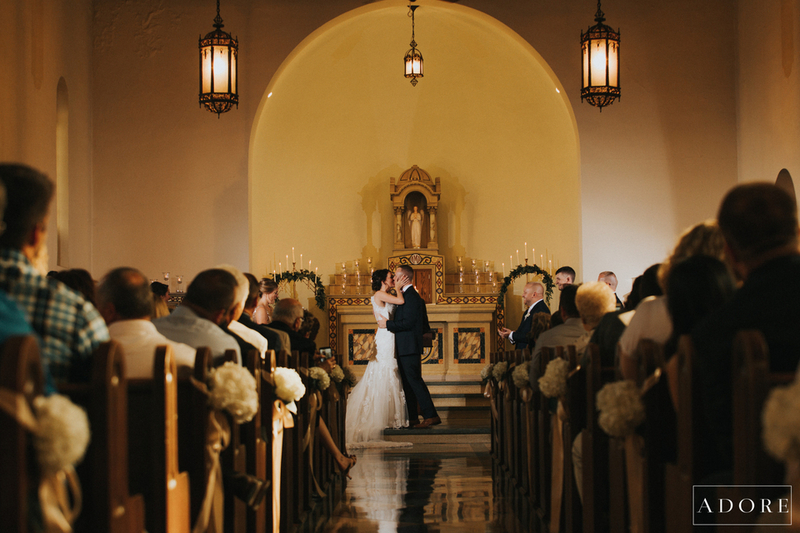 If this isn’t an option for you, it’s best to have your ceremony as close to your reception hall as possible! The weather is a fickle thing, and you don’t want to waste valuable time at your reception because the roads are in poor condition. This is also a great suggestion for any other time of the year. It’s always best to be prepared if something weren’t to go as planned. Let’s face it… when it comes to weddings, the unexpected is to be expected. Offering hotel blocks and a shuttle for your guests is an easy way to get some peace of mind! 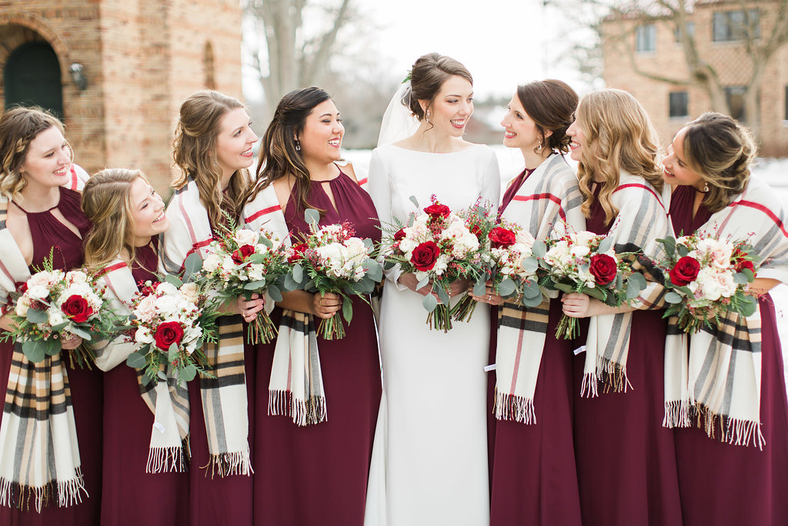 If you are planning any outdoor photos, it’s best to purchase cute faux fur wraps or warm scarves for you and your bridesmaids! Is your dress a lighter material? Bring a pair of Long John’s to wear underneath! Fashionable umbrellas and thick socks for the groomsmen are also a great idea. Coordinate your décor not only with the colors and theme, but also with flowers! There are many types of flowers that will not be in season during the winter months. Florists are going to have great substitutes and suggestions, but if you are going the DIY route, you better do some Googling! This is especially important if you and your partner are deciding against the “first look” photos. The sun will set pretty early in the winter months, and you don’t want to be rushing any photos after your ceremony! It’s best to talk with your photographer about how much time is needed for them. Hand warmers, thermoses, and fuzzy socks…oh my! There are SO many options for wedding favors, it can be difficult to settle on one solid idea. 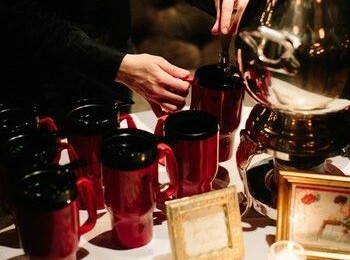 If your favors can pull double duty and be a convenience to your guests at the reception, all the more reason to invest the money!